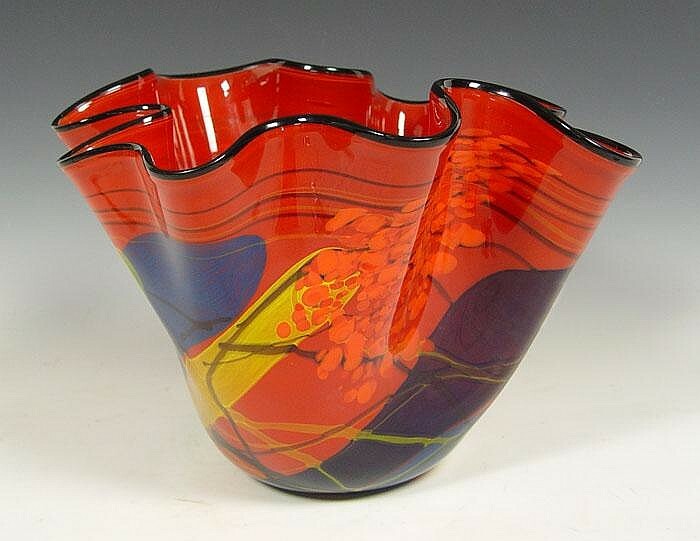 I have always been enamored with glass artwork. I don’t know why; maybe it’s the intense colors or unique shapes they often have. Whenever I am at an art museum or art store, any objects made of glass always catch my eye. 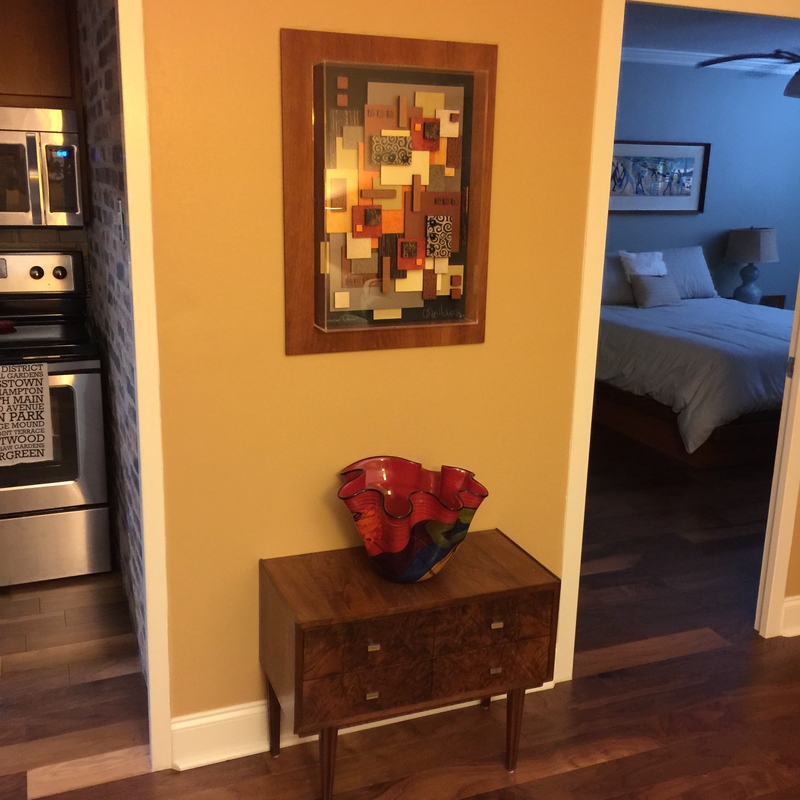 And when choosing a piece of original art to buy, I typically gravitate to those made of glass. 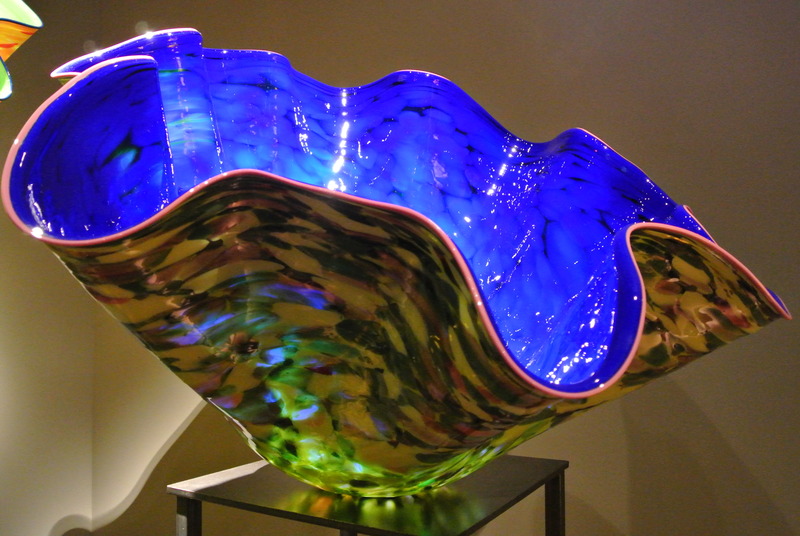 But of all the glass artwork that I have ever seen, pieces created by Dale Chihuly are my favorite. 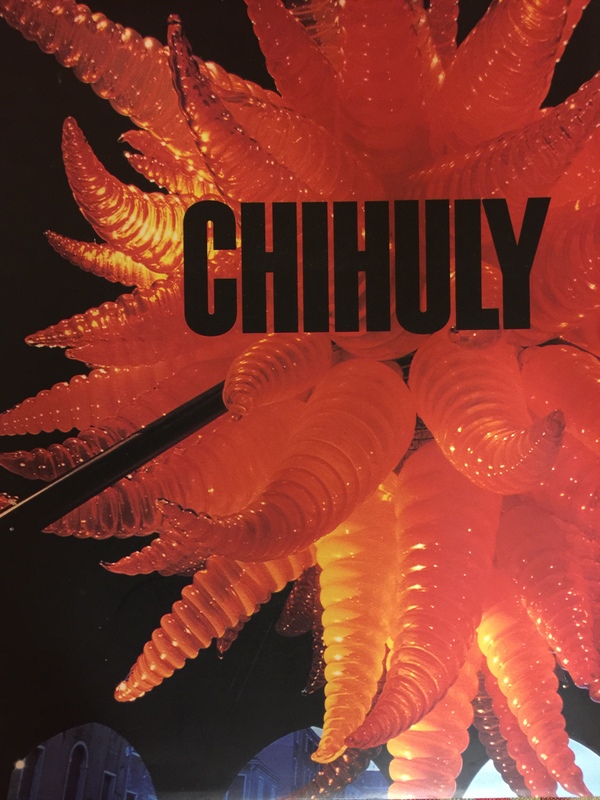 If you have never seen any of his artwork, I would highly recommend checking out his website at Chihuly.com. 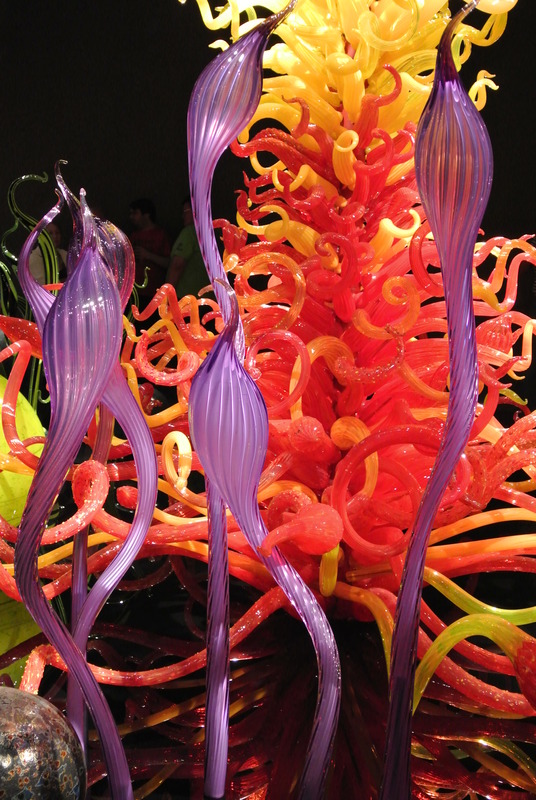 I think I was first exposed to Chihuly when one of his exhibitions came to an art museum in Memphis. My first experience was incredible, taking this art form to a whole new level for me! 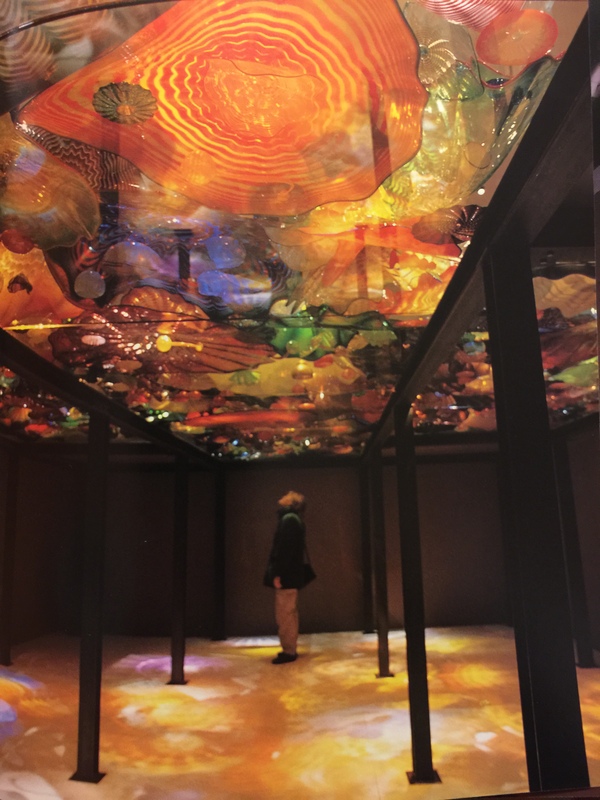 Of particular interest was a display of intricately interwoven multi-colored pieces resting on a glass ceiling that you walked underneath. It was amazing! A number of years went by before I was able to see another one of his exhibitions. I happened to be in Oklahoma City visiting my sister when she suggested we go to an art museum in downtown that happened to have a special Chihuly exhibit. I obviously jumped at the chance and had another thoroughly enjoyable experience. 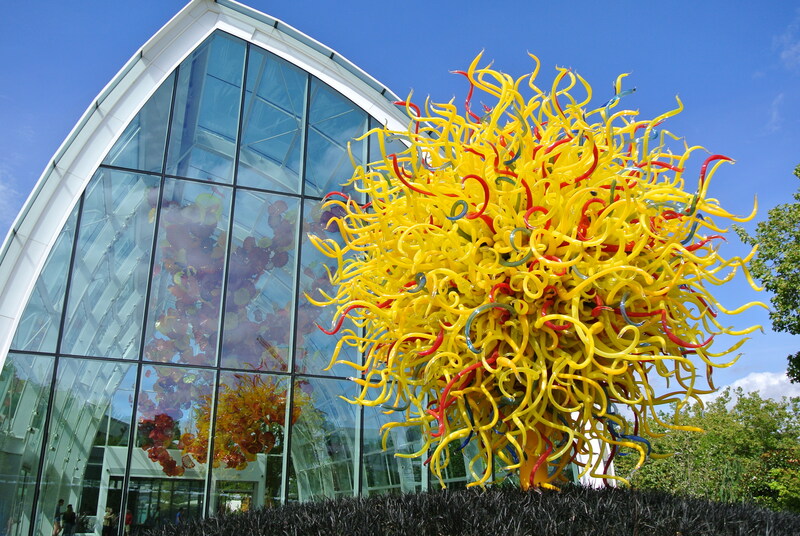 While at the museum, we also got a chance to see a couple of videos of how Chihuly produces his beautiful pieces. If you have ever seen a picture of Dale Chihuly, you will immediately notice that he wears an eye-patch over his left eye, the result of a car accident many years ago. As a result of this injury, he has lost his stereoscopic vison meaning he has diminished depth perception. 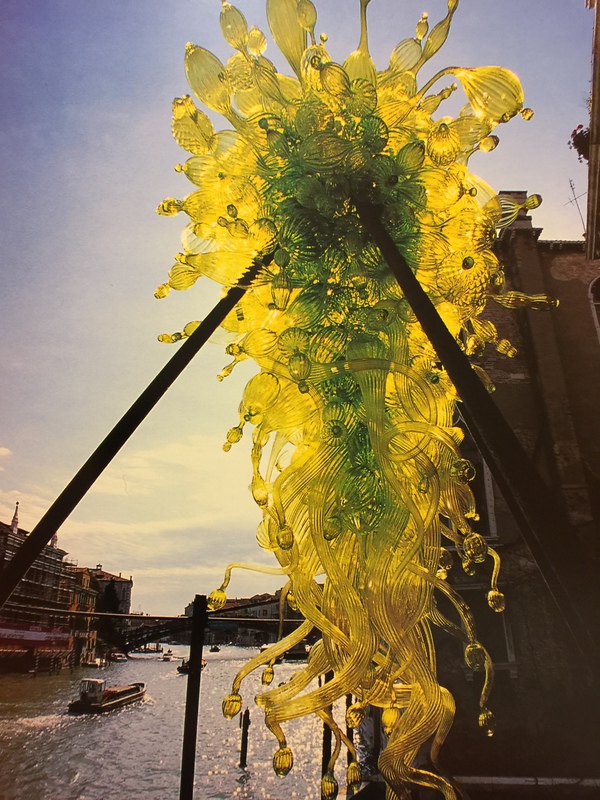 But in spite of this disability, Chihuly creates his glass art using a team approach with him as the creator and director. In fact, blowing some of the larger pieces literally could not be done without a team. In the museum gift shop, I was amazed to see that some of his pieces were actually for sale. But the price for even a medium-sized piece was $15,000, well out of my price range. However, there were several books on his work (much more affordable) that featured some of his large outdoor installations. These photos were absolutely amazing. My sister noticed my interest in one of these books and since it was close to my birthday, she surreptitiously purchased this one and gave it to me for my birthday. It was a great gift that I read cover to cover! Then one year on my annual trip to Amsterdam, I happened to walk past an art store on my way to the Van Gogh museum when I noticed they had Chihuly pieces for sale. 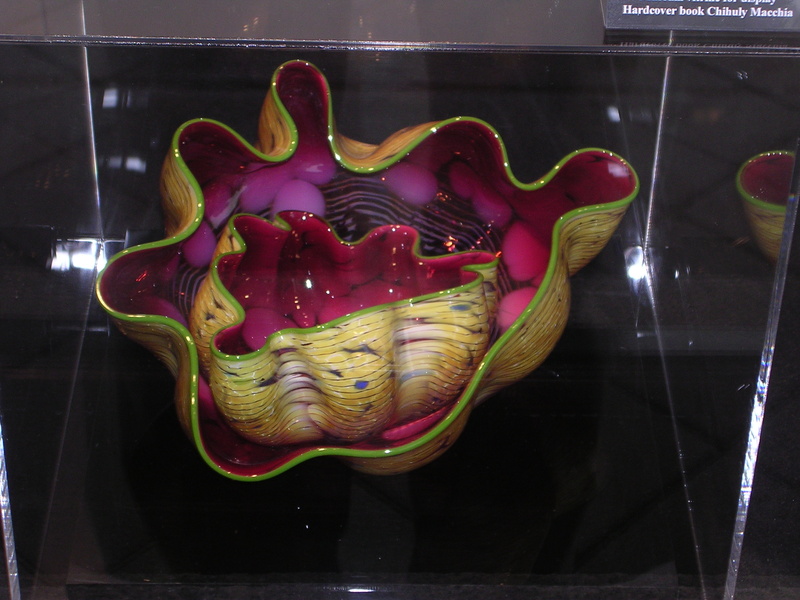 Even in Euros, I still could not afford one but it helped me to decide that my favorite shape of his work was what he called a Macchia, this particular one a bowl within a bowl. 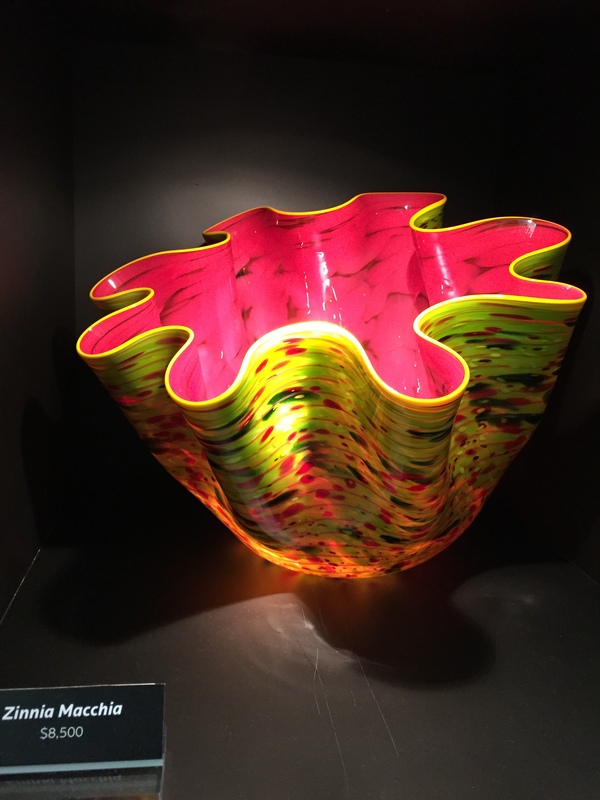 And once looking for furniture at a local modern furniture store, I discovered that among the many furnishings they carried were what became known to me as “fake-Chihuly’s.” And at a price 1/30 the cost of a real Chihuly of similar size, I could definitely afford this (the real artist is Ioan Nemtoi). 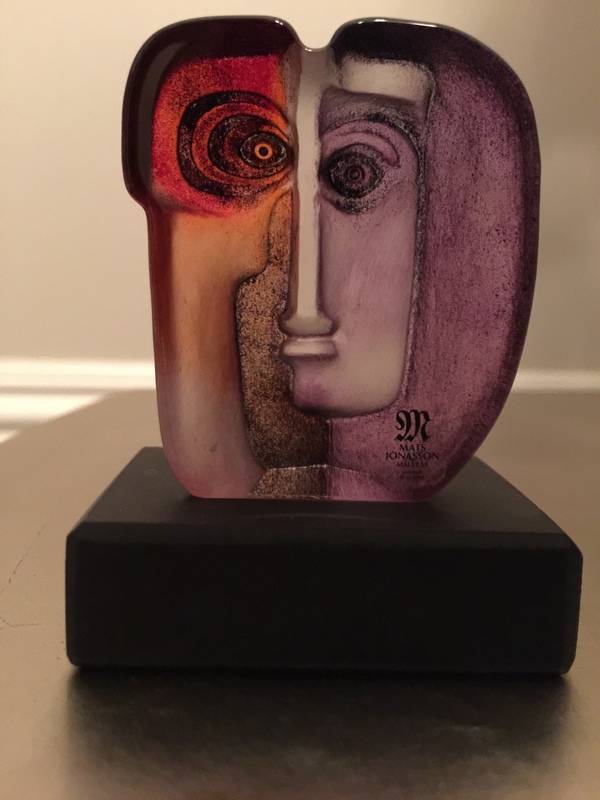 This became my favorite piece of glass art that we owned and it enjoyed a prominent location at our home first and then at our condo. 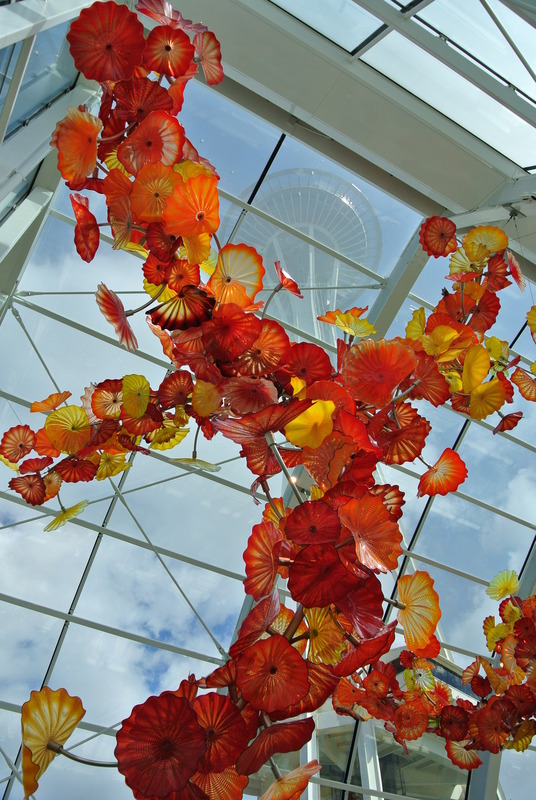 Then in 2013, I got to experience what for me was the grand slam of Chihuly exhibits when my wife, daughter and I toured his Glass House and Garden, right next to the Space Needle in Seattle. It far exceeded any display I had seen to date. Even the outdoor installations were amazing; my first experience of these. And incredibly, the glass house was available for renting out for special occasions. Can you imagine having your wedding reception here? 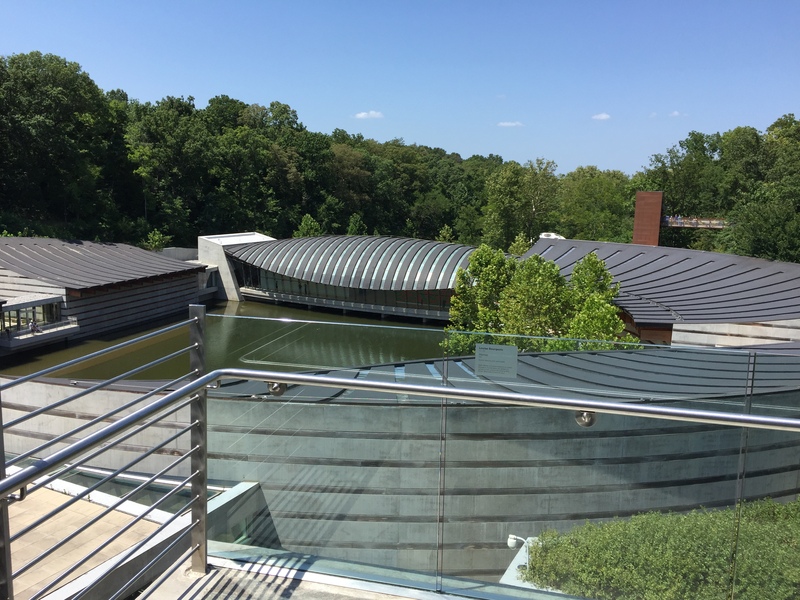 …what tipped the scale for this particular trip was the fact that Crystal Bridges had a special Chihuly exhibit, both indoors and outdoors. 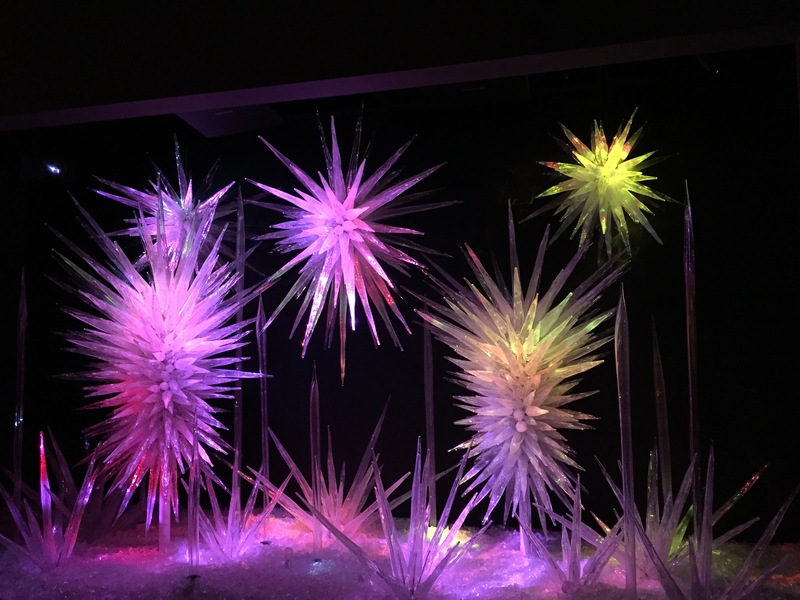 …but what was most impressive was a new display I had never seen before, explosions of glass, illuminated with ever changing light colors set to classical music. It was almost as if it were an indoor fireworks display with appropriate “oohs” and “awes” as the colors changed. The only downside of the outdoor exhibit was the blistering afternoon heat, 95°F in the shade, which made returning to the cool interior of the museum that much more comforting. At night, the outdoor displays are lighted and on Saturday night, they have live music as well. Being a Saturday, we debated about coming back in the evening but ultimately decided we would wait until the fall when cooler evening temperatures would make the whole experience that much more enjoyable. Naturally in the museum gift shop, they had Chihuly pieces for sale, smaller than the ones I remembered seeing in Oklahoma, but much more reasonably priced, although still above my price range even for this one, my favorite. 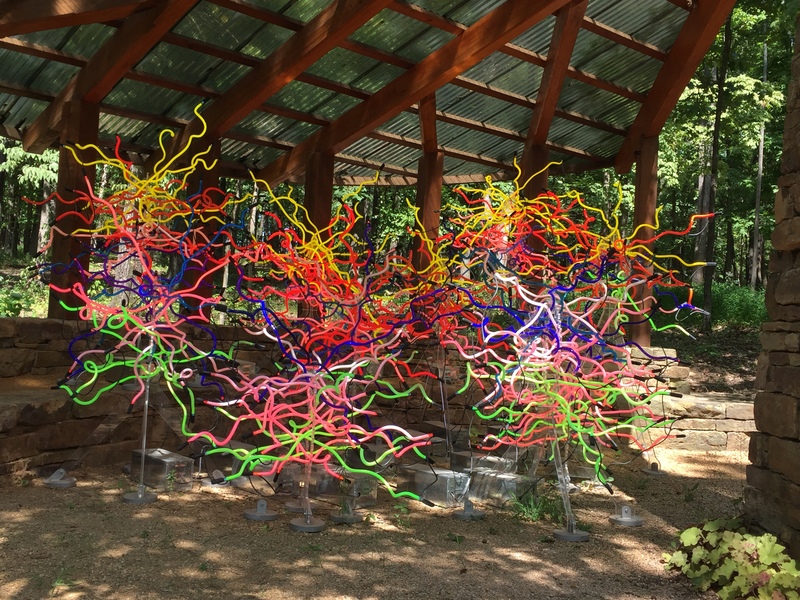 While the exhibit at Crystal Bridges was not of the same scale as Chihuly’s Glass House in Seattle, Washington (his home state), it was none the less enjoyable. 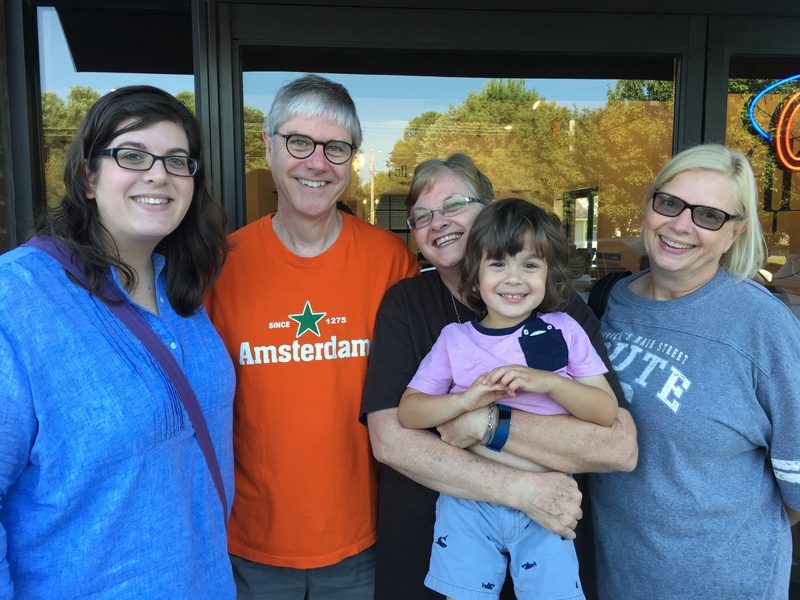 Combined with visiting family and having several great meals together, it was an all-around A+ weekend of art and family time. 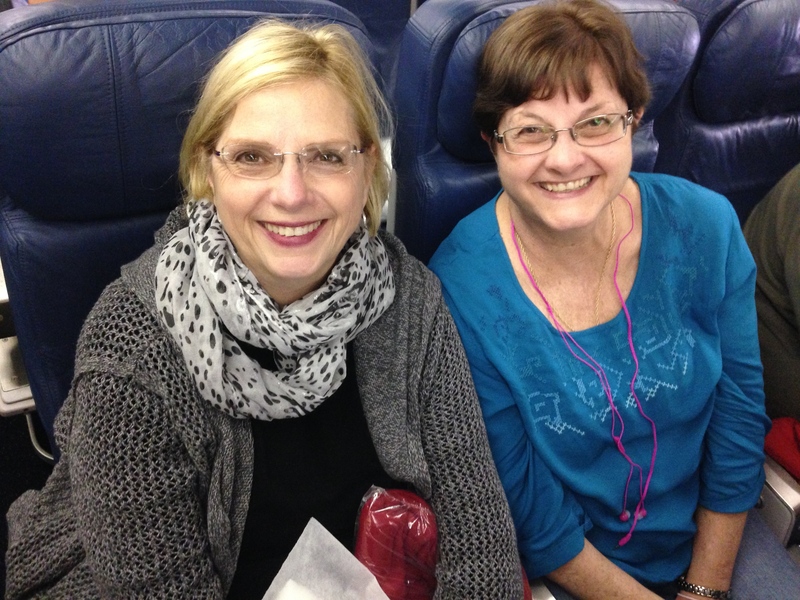 Enjoyed your post. 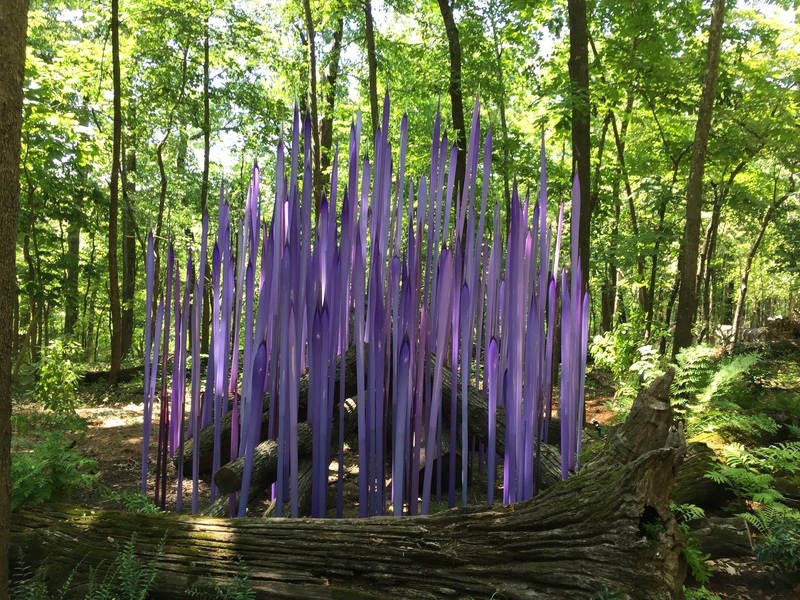 Sorry I missed the Chihuly exhibit in Arkansas. 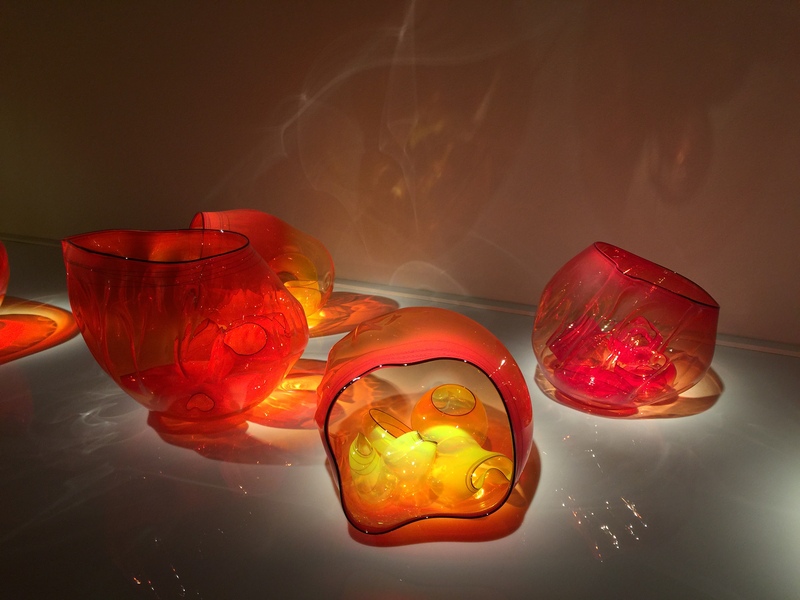 Have you ever been to the Corning Museum and Glassworks in Corning,New York? Worth a visit, with your love of glass! No that sounds cool. That is where the 200 inch disk was poured for the Palomar telescope that had to cool for almost a year before being shipped to Cal Tech for polishing.